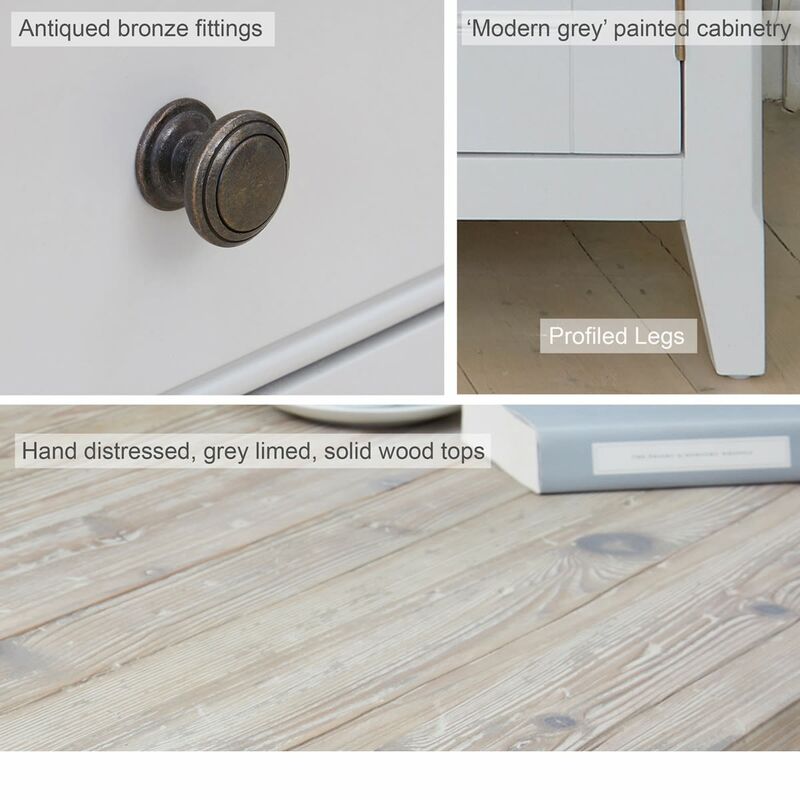 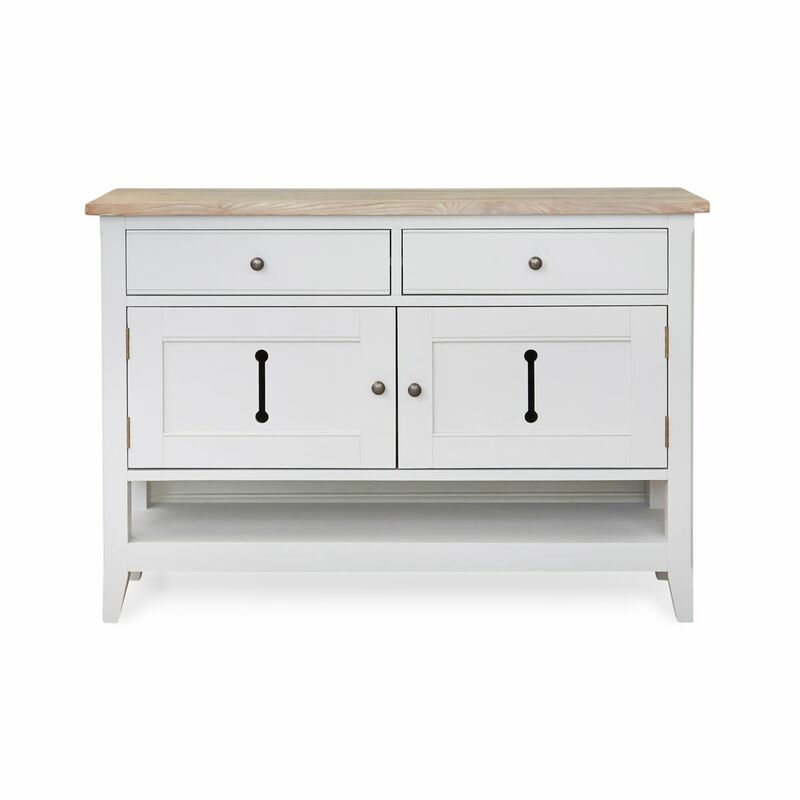 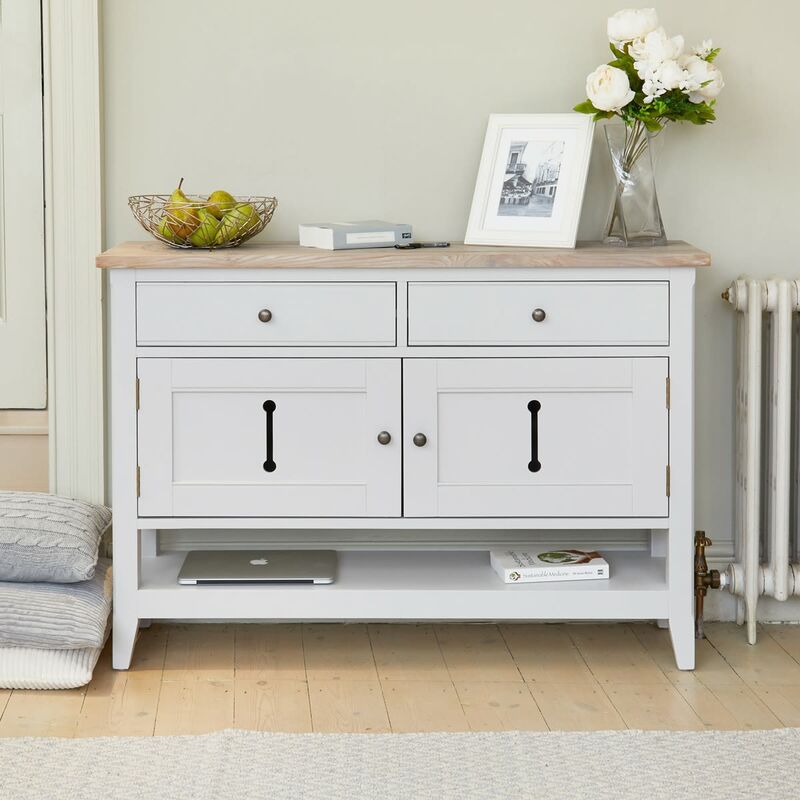 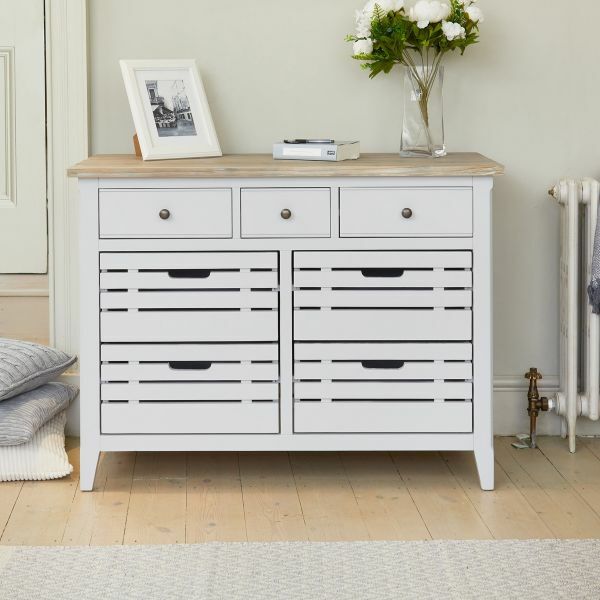 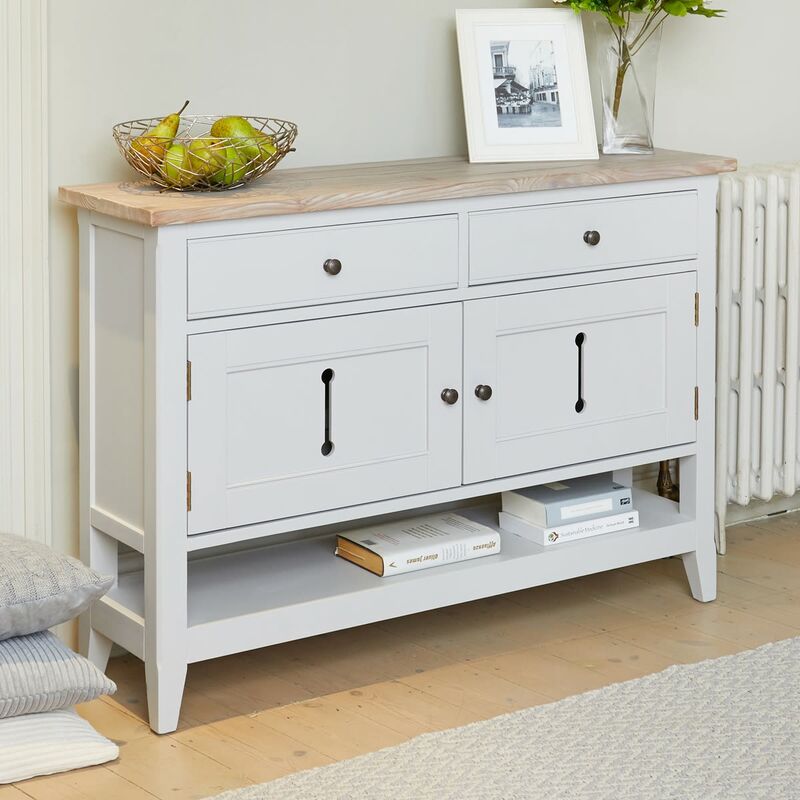 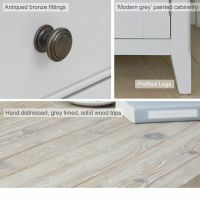 If you're looking for extra storage for your best china and for a piece of furniture with contemporary country flair, then the Signature Grey Small Sideboard could be the ideal solution. 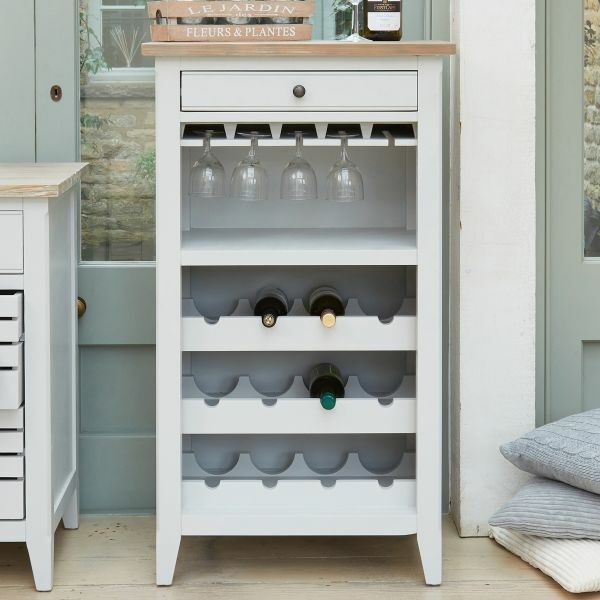 Its compact design belies the considerable storage inside the double cupboard, two drawers and handy shelf. 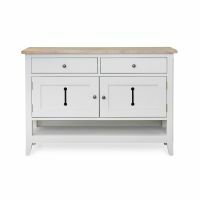 While the hand limed top contrasts with the grey paint finish to perfection, the ornate cut out detailing adds extra embellishment to the piece. 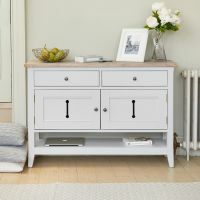 Buy why save it for the dining room? 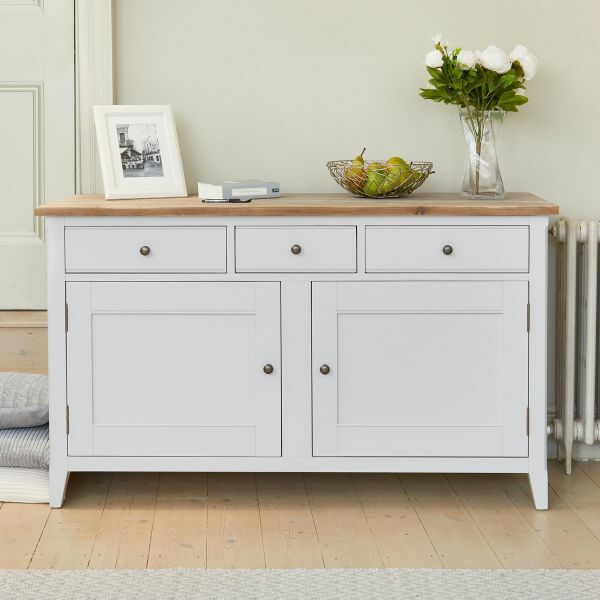 This small sideboard would be a superb addition to any hallway too. 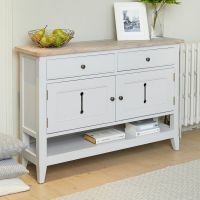 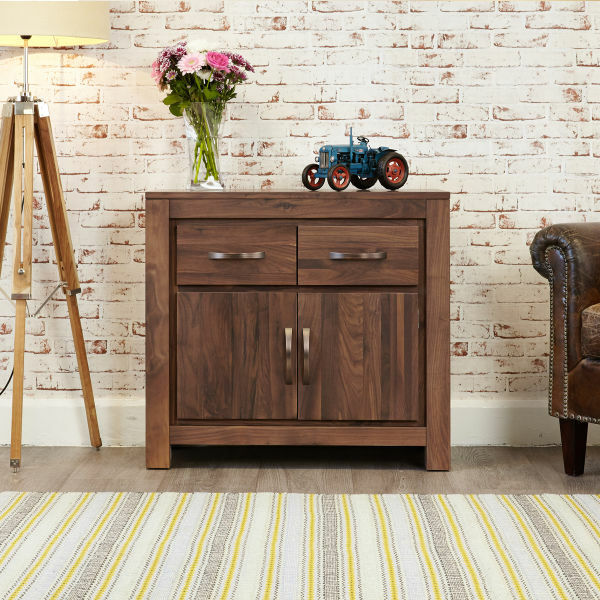 Crafted from solid wood throughout, this charming small sideboard is solidly built, delivered fully assembled within five working days and comes with a five year manufacturer warranty. 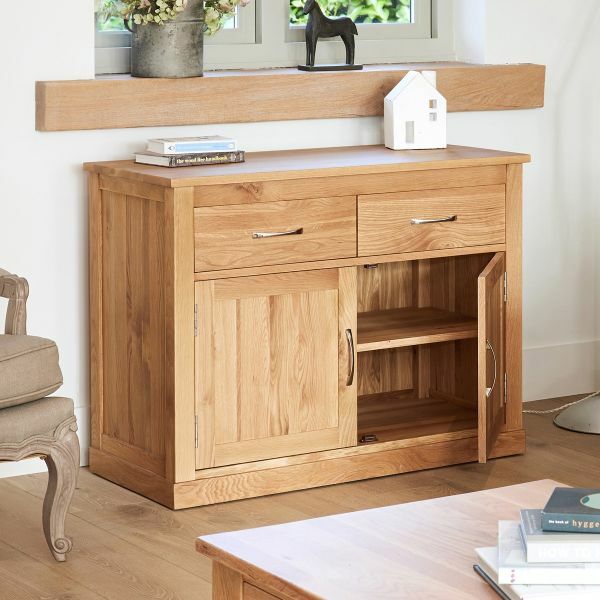 If you're looking for an elegant alternative, why not consider our best selling Mobel Oak small sideboard?